Intermediate. 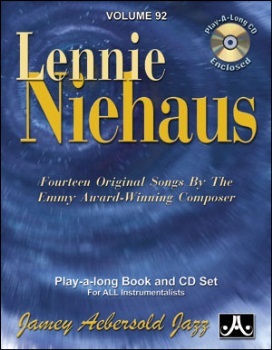 Lennie's reputation as a jazz and film composer, arranger, and jazz recording artist is second to none. His musical and playable style of writing has made his many solo/etude books among the most popular jazz books in the world. Lennie has personally assembled the songs for this Play-A-Long and added 9 new selections to create a wonderful set for all to enjoy.